When we have a meal that crosses the lines of flavor, we often turn to a medium-bodied rosé for pairing, as the style also plays well on many levels. 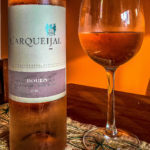 For a duck breast served with a pomegranate and star anise sauce (over rosemary potatoes and broccoli greens), we chose the 2016 Carquiejal rosé from the Douro DOC. 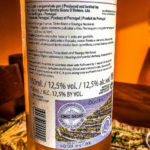 Produced by Quinta Seara d’Ordens out of Peso de Reguá, the wine spent two months in stainless steel tanks before one month in the bottle prior to release. 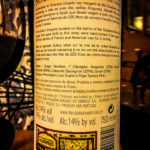 A blend of Touriga Nacional, Tinta Roriz, and Touriga Franca, the wine also has elements of five-spice powder on the nose, along with strawberry leaf. The bolder dry strawberry and cherry notes on the palate matched well with the fruit in the sauce without overwhelming. And, it’s a pretty salmon color in the glass! After a series of whites to welcome the warm weather, we turn back to the Alentejo for a rich red to go with the grilled sardines of the past week, and the novinhos grehaldos permeating the air. 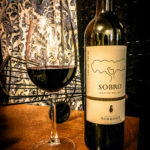 Herdade do Sobroso in the Vidigueira region features a wide range of wines, and our selection this week is their 2016 Sobro vinho tinto. Crafted from hand-picked Aragonez, Alicante Bouschet, Cabernet Sauvignon, and Syrah grapes, this DOC Alentejo wine gives a lot of bold tastes. Aged in 225-liter barriques of French and American oak for three months, the wine shows eucalyptus and blackberry jam on the nose. To taste, lots of brambly black fruit juice marries with medium tannins. At 14% abv and still youngish, it stands up to both rich grills today and a mellower taste profile over the next couple of years. 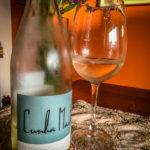 We return to the Dão for this week’s white, a 2015 Cunha Martins, one that combines a trio of grapes allowed under the DOC (Denominação de Origem Controlada) in the region, the Encruzado, Malvasia-Fina, and Rabo-de-Ovelha (which means “sheep’s tail”). 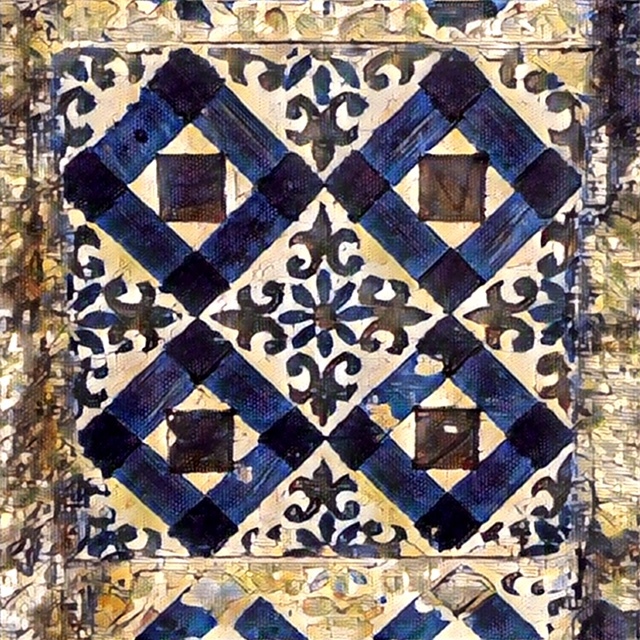 While the latter two grow all around Portugal, the Encruzado grape primarily features in Dão whites, as a blending grape. Created by winemaker Célia Costa for Quinta do Cerrado, the wine gives off delicate fragrances reminding me of linden flowers, and a lemony marshmallow fluff salad. These tones round out to lemon custard on the palate. 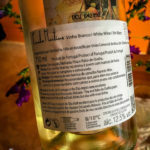 At a refreshing 12.5% abv, we suggest this light and floral wine to accompany a quinoa salad with early summer vegetables, such as peas and spring onions, and herbs like lemon thyme. We have shown a fondness for Alentejano whites, and the wine to kick off this month’s tasting notes is a great example of the richness and value that can be found there. 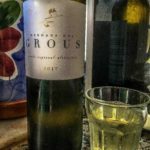 The vinho branco from Herdade dos Grous blends Antão Vaz, Arinto, and Gouveio grapes to create a surprisingly complex wine for the price. The term herdade is used in Alentejo to designate what would be a quinta elsewhere in Portugal. 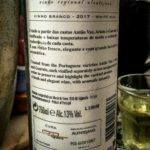 At 13% abv, the latest Herdade dos Grous branco shows some weight. With real orange blossoms on the nose, and a bit of funk, the wine tastes of mild oak spices, rounded out with lemon curd. We enjoyed it while cooking (note the glass) a bit of pasta primavera (with a handful of new cherry tomatoes) and a touch of rosemary. We’re looking forward to visiting this quinta (including its accommodations) soon!